Sponsorships can introduce a new audience to you and your organization or nonprofit, particularly if you choose your sponsorship partners carefully. Another aspect to consider, for many organizations, is the financial; sponsors represent a significant portion of the revenue used to fund programs or events. It makes sense, then, to leverage today’s ever-expanding digital arena to add more value for your sponsors. 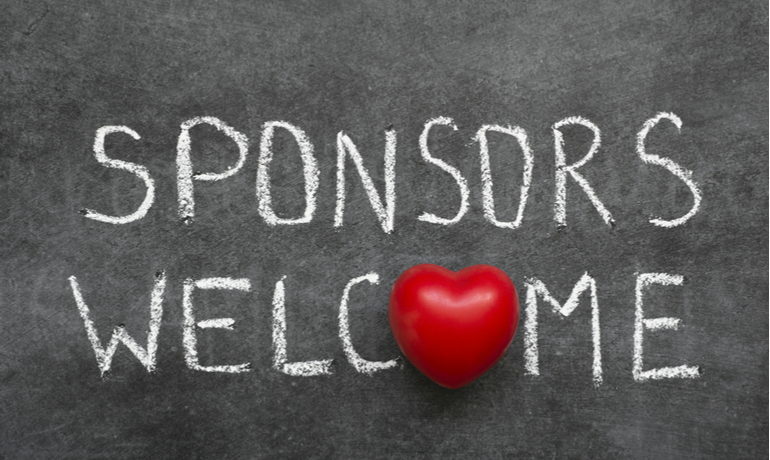 Before you begin brainstorming about new ideas for sponsorship packages, take a minute to consider your sponsors. What are they looking for when they choose to sponsor you? How will sponsoring you benefit them, and how will affiliation with their name benefit you? If you're a nonprofit hosting a large event, it's important to take care of your sponsors and treat them well. While traditional packages have value, there are ways to get creative and offer even more value. Why would an organization want to add more value in sponsorship packages? Sponsors are looking for a return on their investments. If a sponsorships leads to more business, they are more likely to increase their sponsorship level. They might even spend more money next time, which is a revenue opportunity for your organization. If your nonprofit organization is offering a text-to-give option or running a special campaign, a corporate sponsor could pledge to match the total. Your organization and corporate sponsors can advertise the fact that they're matching contributions and at your event, you can encourage visitors and attendees to donate right there. Make it easy to donate online and you can help people help others. Everyone needs to plug in and charge their devices at a big event! Offer your sponsors exclusive rights to host a popular charging station. Attendees can charge their laptops, phones, tablets and more. You don't have to have anything fancy— just a way for folks to plug in. This could be an excellent, non-budget-busting option. You can carefully place your sponsor's logo for good visibility, AND you'll have the opportunity to talk to people as they wait. For a younger or tech savvy crowd, this one is a show stopper. These eye-catching interactive stations are perfect for integrating social media with a digital display. Simply use a large monitor, projector or flat screen TV at a station to display social media posts about the event. Use them to create a social hub that connects the event’s guest via social media such as Twitter and Instagram. What’s particularly appealing about this idea is that you or your sponsor doesn't need to spend a lot of resources on creating content—the attendees do it for you, and people love seeing their messages show up for all the world to see. A great strategy here is to create a hashtag specific to the event as a part of the sponsorship package. You could also offer a quiet space for relaxing with old-school board games, or you could go big with giant versions of Jenga or chess. Toss some bean bag chairs around the room, and it will feel like your childhood best friend's basement rec room, in the best possible sense. Offer sponsors video interviews as part of their package. 60% of visitors would rather watch a video about a company than read about it; a video would be a great way to get the attention of your visitors, and it would offer a lot of value for your sponsors. Publish the video on your website and social media accounts, blog about it, and include it in email communications. If you have a podcast, have sponsors appear as a guest on your podcast and promote them on social media. Does your organization have elements that could be named for a sponsor? For example, if you were a nonprofit focused on getting kids to read, you could offer the “XYZ Corp Book of the Month” feature to your site and cross-promote it across your social media. Take a look around to get inspiration here – collegiate sports, NASCAR, arenas, museums and film festivals all have sponsored areas. If you don’t have a natural fit for this, ask the sponsor if they have a community-building idea in mind. Major events or conferences have kickoff and closing parties, as well as public and private events in between. Make the kickoff reception and the closing night events exclusive to no more than two sponsors each. Private parties that offer networking and branding opportunities are fabulous offers – incentives can include logo placements, catalog listings, promotion across social media and on mobile apps and complimentary event passes. Be sure that you test the tech before the event begins— a glitchy live stream won't do you or your sponsors any favors! Remember, the key to making any of these sponsorships valuable and attractive to businesses is by promoting your event (and your sponsors) well. By doing so you’ll have created an excellent opportunity to not only pull off a financially successful event, but to also attract future corporate revenue to your organization. Looking for a simple online giving platform to help increase donations and gifts? Contact us here. Ready to increase your donations and gifts? Complete this form to get started.